iPal's platform provides quality online education to anyone, anywhere. With our IP we are revolutionizing the way education is delivered! iPal has created IP around e-learning development, management and delivery of quality content. Content providers include universities/colleges. Target audiences include NA and emerging markets (India, China). Partnerships have been established in these countries. iPal has been part of Canada's Trade Missions and seen as Canada's e-learning leaders. iPal current clients include government, banks, automotive, travel, real estate, HR and schools. Entrepreneur with 18 years of management experience, failing many times along the way. Success came to Brad when he found the discipline of Project Management. Working his way up to becoming the leader of PMI Ottawa, a published author, outspoken public speaker, Brad has built credibility and several companies including a global multimillion dollar design company called EasyWrapLines where he worked with all the major entertainment companies. Mark has been able to apply his MBA to build an international business strategy by forming relationships with the federal department of Foreign Affairs and International Trade (DFAIT) and Ontario’s Ministry of Economic Development and Innovation. Mark has represented iPal at federal and provincial international trade missions in India, Spain, Brazil and China. Ali has an extensive professional background in systems level design analysis and technical work flow optimization. His efforts outside of managing the production delivery of all courses is to chart and create an agile production capability. Over 25 years of Project Management Experience. Scott has owned his own Project Management consulting firm, has designations as CMA and PMP and is a natural leader. 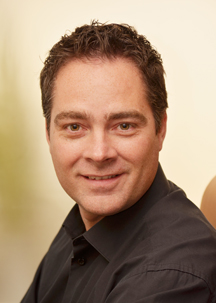 Scott is the co-founder of iPal and works closely with Brad on strategies and partnerships. Scott experiences combined with his entrepreneur flare helps his ability to negotiate and close deals with iPal's prospective partners.